1. The item may be inefficient or even dangerous to sort. Items from your curbside recycling bin are sorted at the ReCommunity Materials Recovery Facility (MRF) located at our Environmental Park. At the MRF, items are first sorted by the hands of ReCommunity employees. That’s why it’s crucial that dangerous items like sharps and syringes never make their way into curbside bins. Next, they pass through various machines that were built specifically to sort items accepted in the single-stream program. When other items like plastic bags, hazardous chemicals or large pieces of metal make their way through the machines, they can cause costly breakdowns, or worse, fires and employee injuries. ReCommunity - Materials Recovery Facility from ReCommunity Recycling on Vimeo. 2. There is no market for the item. Recycling markets help dictate the items accepted curbside. Without paper mills eager to accept used paper for reuse there would be no practical reason to collect paper in our recycling bins. A few years ago, the market for cartons expanded, which made it viable for our program to accept them. That said, recycling is a long-term commitment. Like other industries, recycling markets fluctuate, and we don’t discontinue recycling when markets are temporarily down. It’s also important to remember that when we purchase items made with recycled content, we encourage businesses to keep using recycled materials in their products. 3. The item diminishes the value of other recyclables. Another reason an item may not be accepted is because it can contaminate other recyclables. For example, a plastic take-out container filled with food will contaminate newspaper that’s in the same bin, making it unacceptable to paper mills. Pyrex, although made of glass, is treated with chemicals that make glass from bottles lose its value when mixed together. Caps and lids are often made from a different grade of plastic than the bottle or container they’re on – that’s why they should be removed. Now that you have some insight into why some items are deemed unacceptable, here is a reminder of those items that should NEVER be placed in your curbside recycling bin. Syringes or Needles – These pose significant health risks to workers on the sorting line. Medical waste should be disposed of properly at a medical facility. See acua.com/medicine for additional information. Plastic Bags – These destroy sorting machinery and can cause significant downtime. They can be recycled efficiently through designated bins at grocery and department stores. Scrap Metal and Appliances – These items can be dangerous and are way too large for sorting equipment. Check with your local public works department for disposal information. 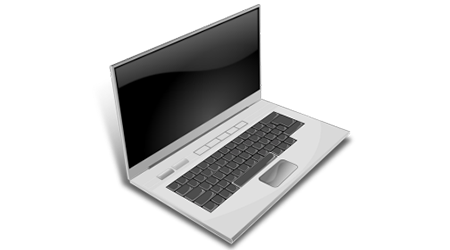 Electronics– Electronics contain harmful yet valuable materials. They are banned from both the trash and recycling bin and must be taken to a certified recycler. See acua.com/electronics for additional information. Plastics that contained hazardous chemicals – Containers that held chemicals like motor oil or antifreeze are dangerous to employees and can cause fires. Food Waste – Food residue contaminates recyclables and diminishes their value. Styrofoam – Styrofoam is usually contaminated with food residue, and there is not a viable market for this material. Mirrors, light bulbs, vases, Pyrex, window glass, cups, dishware, shelving – These glass items have been treated with chemicals that make them different than glass bottles. Please note CFL lightbulbs contain mercury and must be disposed of safely. See acua.com/cfls for additional information. Ropes, hoses or any item that can get tangled around equipment - These items can greatly disrupt the sorting system, break equipment and lead to very costly downtime. Like any industry, the recycling industry is continuing to innovate as new items and issues are discovered. Single-stream collection is just one example of that continued innovation. To ensure that recycling is efficient and effective in our local community, please take a minute to review our recycling guidelines before placing an item in the bin. When in doubt, we encourage residents to refer to our single-stream guidelines, use our Waste Wizard, or just ask! You can reach us through our website’s live chat (see bottom right hand corner of your screen), email, Facebook, Twitter, phone call (609.272.6950), or at a local community event.